Shop over 600 trailers in stock! 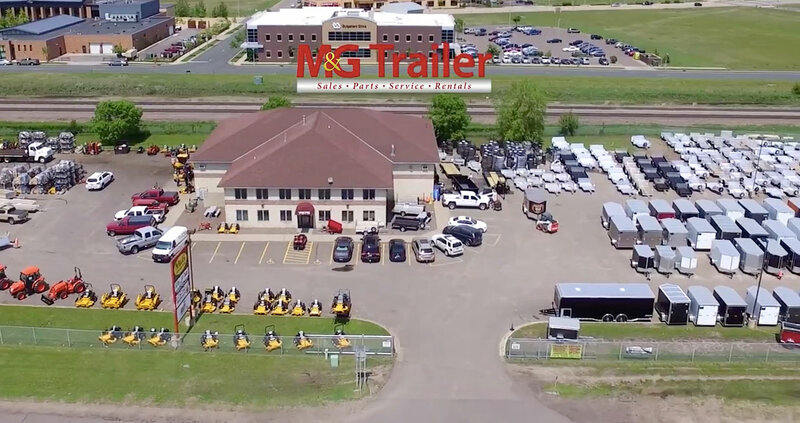 M&G Trailers Sales & Service is a Trailer Dealer in Ramsey Minnesota offering new & used utility, cargo, dump, equipment, ATV, and snowmobile trailers, service and repair, parts, and rentals. We’re positive you’ll find the right trailer for the job and when you do, our finance department is eager to help you lock in low down payments and great monthly payments. Get pre-qualified today by using our secure online credit application! Our dedication to customers is unparalleled, we’ve found that offering the highest quality trailers, with the best customer service and for an affordable price is the best business model for success! We’ve carefully selected each model and unit we have in stock, so if you’re in the market for a H&H, Aluma, Royal Cargo, Triton, Sure-Trac, Midsota, Haulmark or Floe Trailer, look no further than M&G! Looking for Trailer Repair or Service? Our expert technicians can repair any brand and style, schedule an appointment today for all your upgrades, customizations, brake & axle repairs, electrical repairs, DOT Inspection services, body damage repairs, and welding & fabrication services! Our parts department not only aids you with repairs but also for upgrades and customizations. We carry a huge selection of parts and equipment ranging from tires, rims, mounts, brakes, suspension, to vents, snow/salt shields, ski guides, loading ramps, tie down bars. And if we don’t have the part you need, we’ll special order it for you and usually get it the next day! To further serve you, M&G offers trailer rentals at great rates. Check out our rates now for snowmobile, enclosed cargo, dump and utility trailer rentals. 7575 Hwy 10 NW Ramsey, Minnesota, 55303, a short drive from I-94. The combined knowledge and expertise of our team as well as the relaxed, no-hassle process will put you at ease when buying your next trailer.